Like most of the working class at the start of the 20th century, work dominated Anita Hughes’s life. Her family was very poor and they barely earned enough to survive and during Hughes’s younger years. They were constantly moving for her father’s job. Children were often encouraged to show their “usefulness” by getting jobs at relatively young ages. Like many other working class children , Hughes began her working life at the age of twelve at the Cotton Mill and after that there was little time for leisure activities. It is clear to the reader that this is a great loss to Hughes as she enjoyed school so much: “I shed many tears at having to leave school” (4). During her time at the cotton mill Anita was a weaver. This included long days from 6 am to 5:30 pm with a one and half hour break in total throughout the day. It is clear she did not care for her first job. She states that she was always looking forward to the weekend: “didn’t I look forward to Saturdays” (4) – her half day. Her job as weaver was one suited to her age and size which involved helping women and men with their looms. Her distaste for the job did not matter as she was considered old enough now to help the family bring money in: “I never liked the job but had to “stick to it”” (4). When her father decided to move again to the other side of town for a job prospect, Hughes and sister had to keep their job at Farington Mill and wake at 4:30am to get to work in time. Anita states that her mother showed sympathy to the girls’ plight and “didn’t like us having to do it” (5). It seems it was their father who made them work: “I wonder however father let us do it” (5). 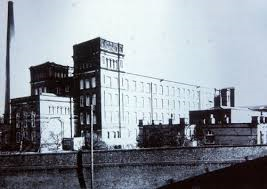 Anita stayed at Farington Mill for a few years and then when the family moved to Rose Grove, she and her sisters got jobs at Spencer’s Mill.